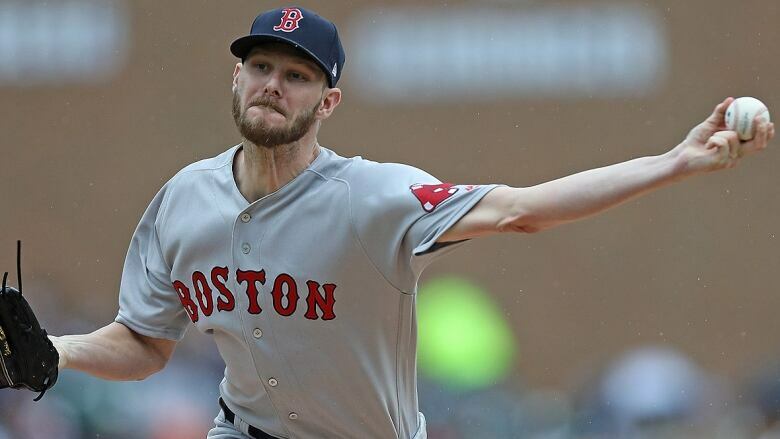 The Boston Red Sox and ace left-hander Chris Sale have agreed to a long-term contract extension, the team announced on Saturday morning. The five-year deal is worth $145 million US. The Boston Red Sox and ace left-hander Chris Sale have agreed to a long-term contract extension, the team announced on Saturday morning. The five-year deal is worth $145 million US. It adds to Sale's current contract (one year remaining) and will go through the 2024 season. Sale, who turns 30 on March 30, is scheduled to make $15 million in 2019, completing a team-friendly five-year, $32.5 million extension he signed with the White Sox in 2013 that included two club options. According to MLB.com, Sale will earn $30 million annually from 2020 through 2022, then $27.5 million the following two seasons. Sale reportedly has an opt-out window after the 2022 season. "When half the league isn't trying to win anything, and we have a team that's trying to win every year? That says a lot. As players, you can't not respect it," Sale said Saturday. "We have a track record of winning. And even when we don't, we're still lined up to win. Since the turn of the century, we have the most World Series wins." Sale is 103-62 with a 2.89 earned-run average over nine seasons, making the all-star team the past seven years running. He was typically dominant in the first half of the 2018 season, going 10-4 with a 2.23 ERA, but he had two stints on the disabled list in the second half and pitched just five innings between July 28 and Sept. 10. Sale finished the regular season 12-4 with a 2.11 ERA over 158 innings, his lowest innings total since he became a starter with the Chicago White Sox in 2012. He made three starts and two relief appearances in the post-season as the Red Sox went on to win the World Series, posting a 4.11 ERA in 15 1/3 innings, while striking out the side and recording the final out in the deciding Game 5 of the World Series against the Dodgers.